Closet – the remarkable wardrobe of Nataniël…. There is no grey about Nataniël. There is no black or white either. It’s all in a riot of colour as this truly unique book, Closet offers a visual celebration as exceptional as its author. 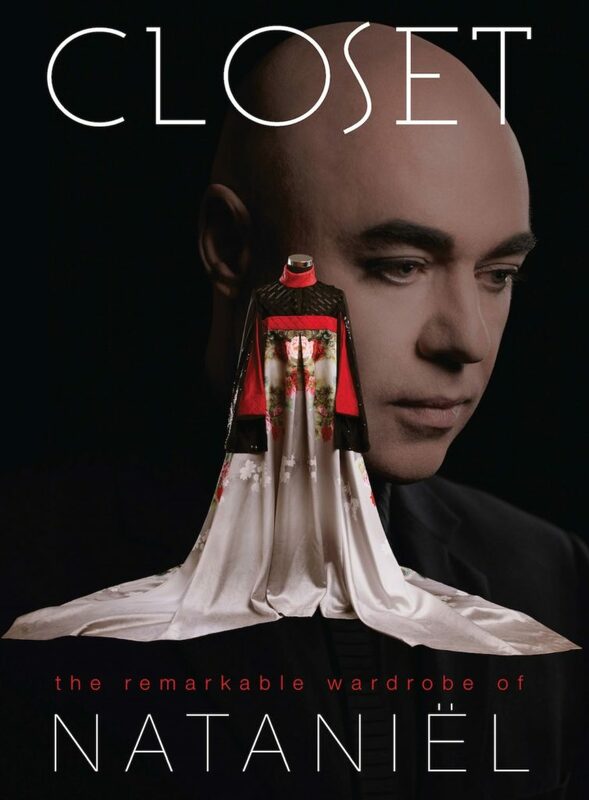 As Nataniël looks back on his 30-year career in show business, he takes us into his closet, showing his first self-made costumes, introducing his three designers and sharing close-up details of the most astounding costumes from his shows. I have been to exhibitions in the Victoria & Albert Museum in London where costumes of the royals, film stars and more are put on show. Fabulous but ephemeral. Here you have a take home exhibition which you can look at again and again. I found that each time I look at Closet, I am enchanted by this amazingly talented man. I always find something new. Nataniël shares magazine covers and photo sessions, sometimes in exotic locations, and discusses his favourite colours. Also with catalogues, and magazine and CD covers, Closet is a visual feast, a collector’s item and an ode to an exceptional South African artist. Nataniël was born in Grahamstown in the Eastern Cape. He studied music at Stellenbosch University and first became popular as a cabaret and stage artist, but since the 1990’s has also built a reputation as a writer, columnist and celebrity chef. His most recent book, 150 Stories, dominated the bestseller charts for weeks on end. I have always enjoyed his cookery programmes on TV. I just loved the television ads he did for Checkers with Gordon Ramsay. I think he won. You will not tire of this book, each time you open it, your eyes are assailed with colour and joy and happiness when thinking of this unique South African.